Mother’s Day is fast approaching and to help with your celebration and plans, I have a few gift ideas, links to recipes that would be perfect for your brunch or special meal with mom and a giant giveaway (below). 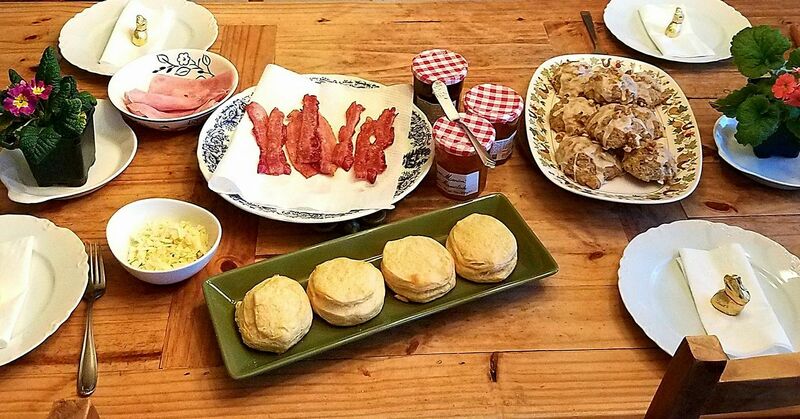 First up, what mom wouldn’t appreciate a lovely breakfast or lunch, the photo below reflects my menu from Easter Sunday where I shared Bonne Maman preserves along with maple nut scones, biscuits, bacon, ham with Gruyère. I love Bonne Maman’s quality and the jars make the table look homey and beautiful. The Mango-Peach, a new flavor, was incredibly tasty on our biscuits with either the ham or bacon – sweet and salty perfection. For the scones, I adapt a recipe from The View from Great Island. The Saturday before Easter, I made a few desserts and wanted to make the scones ahead of time as we were going to too-early o’clock mass. I hurriedly blitzed the oats to make oat flour, threw the ingredients together and even though I knew the dough was too wet scooped them up and put them in the oven. Two minutes later, I took a peek and found a flowing sea of maple nut scone soup. The tray came out, I dumped everything into a bowl and added more oat flour and regular flour, re-scooped and put the tray in the fridge for at least an hour. I retrieved them and baked them off – best darn scones I ever made. Disaster averted. 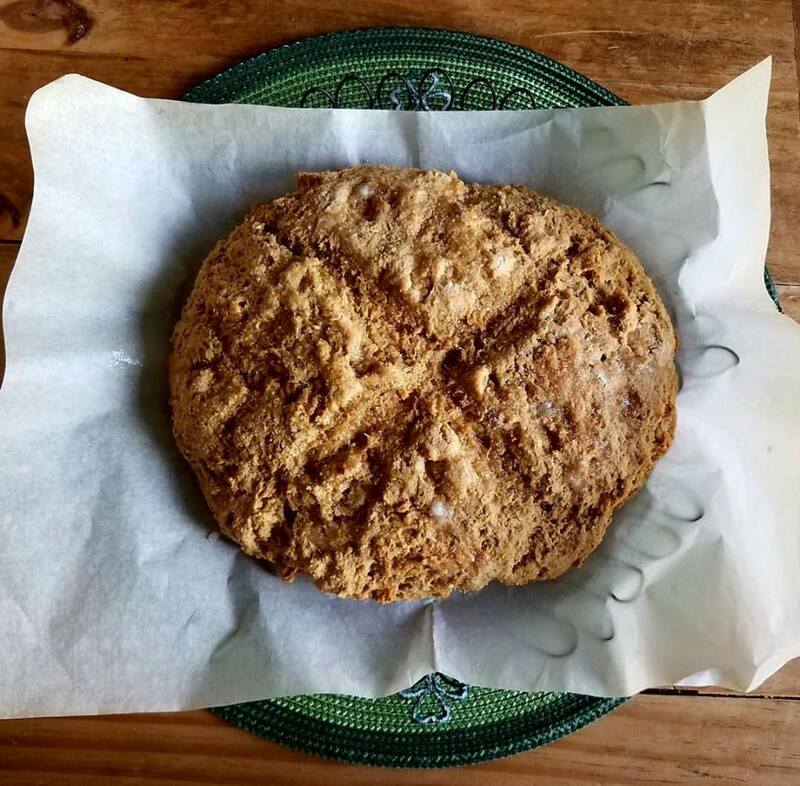 Every St. Patrick’s Day, I make our family recipe for Brown Bread that my sister-in-law, Ann, found many years ago, and I realized that it is a perfect bread for a Mother’s Day Brunch. 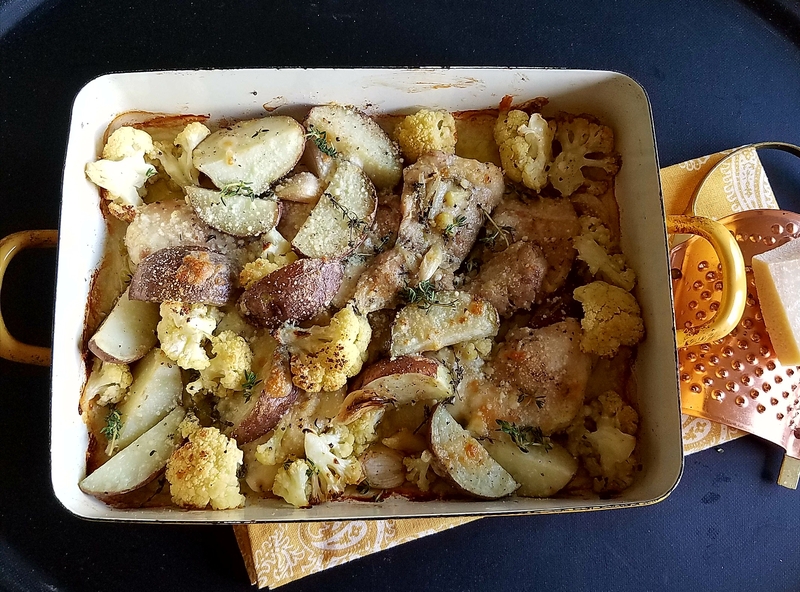 I’m sharing the recipe today for two reasons – you may wish to make it for a brunch or breakfast – or as a gift for mom with a few jars of preserves or mustard – and secondly I will never lose it again now that I have it posted. This bread is so flavorful with the crunchy sugary top that you can’t stop eating it. The bread itself isn’t overly sweet so that sugar topping is needed. I serve it with an orange butter that I make with a 1/2 cup of soften butter and 3 tablespoons of Bonne Maman orange marmalade. Put the dry ingredients in a bowl (the first 6 ingredients – even though sugar is technically a wet ingredient as it dissolves). Then cut the shortening into the dry ingredients with a pastry fork, pastry blender or large fork. Add the buttermilk and mix until it comes together – do not overmix. Flour your bench or board – and take the mix out and knead it about ten times until it comes into a nice round 7 inch circle. Mark an X on the top with a knife. Meanwhile in a small sauce pan – mix 2 tablespoons of sugar with 1 tablespoon of water and heat until dissolved – at 40 minutes brush this mix over the top of the loaf and let bake for 5 additional minutes. Remove from oven and allow to cool on a wire rack for as long as you can before you must have a piece. Serve with orange butter mentioned above. 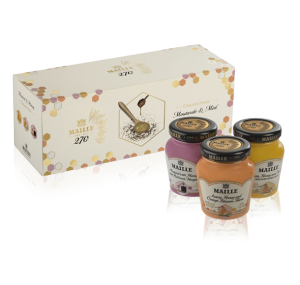 Maille mustards make an elegant gift for anyone who loves to cook and especially for mom. Just as the Bonne Maman jars look special on your table setting – so do the Maille jars. I know it is strange to say a jam or mustard jar is beautiful – but they are. 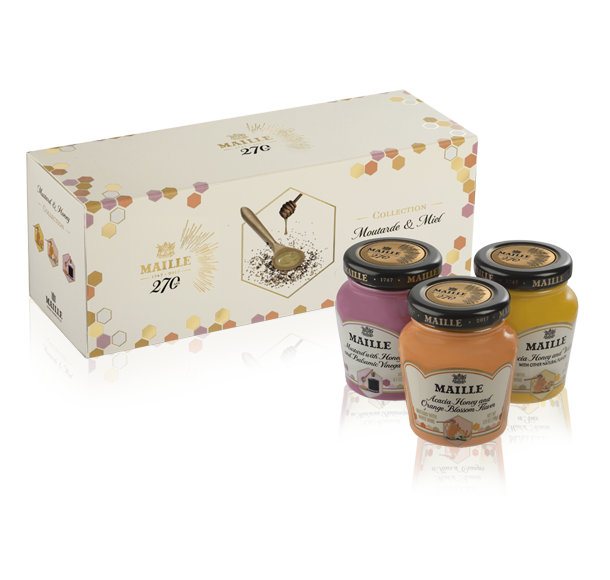 Maille’s Spring honey and mustard collection is very special with three flavors to satisfy all palates. I love mustard and honey and these flavors are incredibly delicious. These mustards and a few of these adorable condiment spoons and you have a charming gift. For a limited time, check out the White Truffle Mustard. Maille also has a delicious assortment of vinegars and I’ve been pleading with them to make their walnut vinegar available to us in the States. Maille, are you listening? For the love of all things fermented, please! La Tienda has been selling Spanish products since 1996. They have a wide variety of quality items for the food lover. The entertaining basket is another gift possibility for mom and contains a wealth of delicious items. 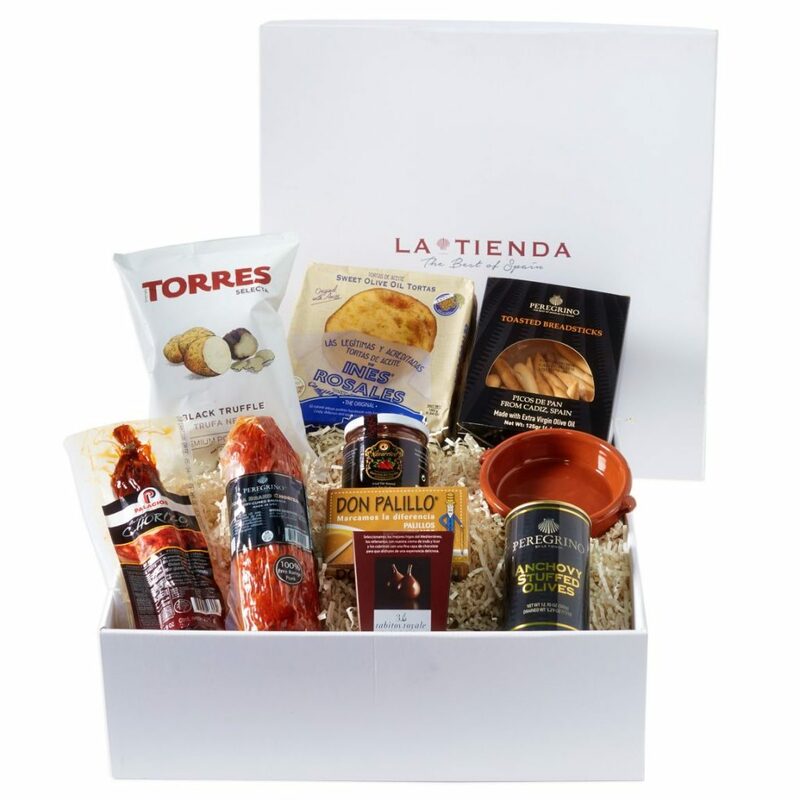 I love Spanish food and I cannot wait to dive into this collection of goodies – I think I know what we’re having for appetizers on Mothers’ Day. I made a mistake and started looking at all the gifts under $100 – I want the tapas plates, the white terra cotta cazeula, okay – I just want everything. Beautiful food related gifts at reasonable prices. Anyone that knows me, knows that I have an addiction to French cast iron enamel pans. I’m trying to behave and only collect white pieces and vintage pieces but there are a few pots such as the Perfect Pan from Staub that I have picked up in Graphite. 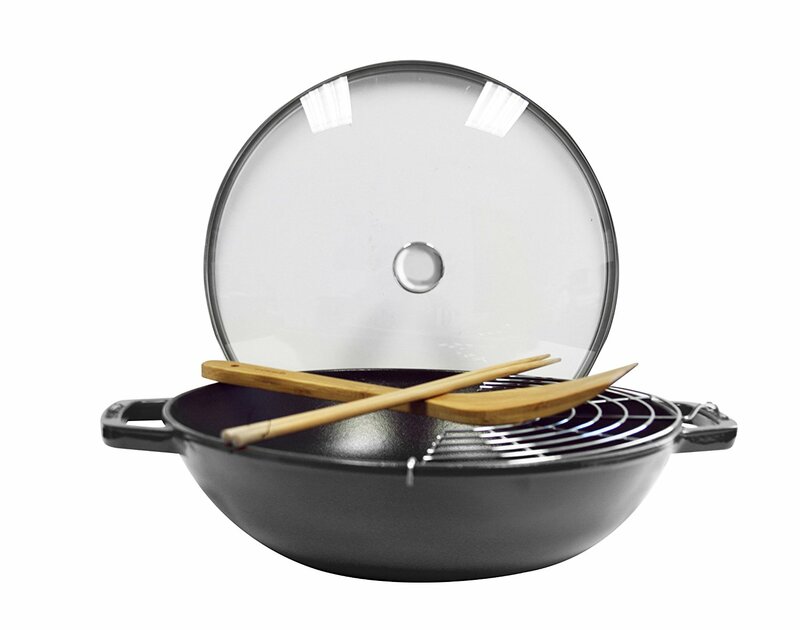 It’s ironic – I had no interest in this pan until a friend messaged me and told me – she had it in her basket and deleted it after she realized that she had a wok and dutch oven. I do love this pot – it is perfect – and a great starter piece for someone building their kitchen. Le Creuset still has most of my heart — look at this gorgeous pot – sweet mother of French cookware – this is gorgeous what mom wouldn’t love this? Right now LeCreuset will send a petite heart cocotte with any $150 website purchase. 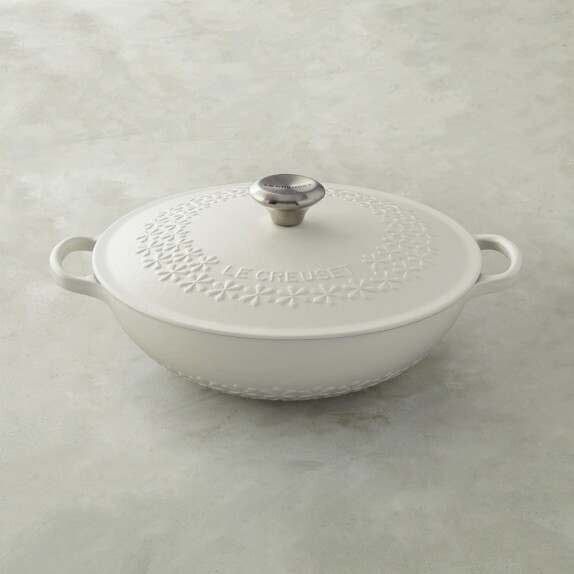 This special pot below, I first found at Williams-Sonoma – I’m in lust – it is also on the Le Creuset site and will qualify for that cute little heart cocette. Bread Crumbs Toast, see my full review at Eat Your Books. The Great Dixter Cookbook is a stunning book that combines gardening and delicious food, truly beautiful. Dinner Changing the Game, see my full review at Eat Your Books. Provence to Pondicherry is a stunner from Tessa Kirros. A review and recipe can be found at Eat Your Books. Eat in My Kitchen, James Beard Award Winner! is one of my favorite books from 2016. A link to my full review can be found here. Pomegranates & Saffron, is a beautiful book, more information can be found here. Lamingtons & Lemon Tarts, is a stunner of a dessert book. I’ll be sharing more information about this title soon. Simple is spectacular, jam-packed with delicious dishes. My previous post shares a few photos of dishes I have cooked. Katerina Nitsou is offering $10 off her cookbook, Macedonia, for Mothers’ Day using the code THANKSMOM at checkout. Macedonia, Recipes from the Balkans is a beautiful title filled with delicious recipes and full page color photographs of every dish. This book is my first book that is devoted to Macedonia and while I haven’t had a great deal of time to work my way through it – I will be. Homey, comfort food from starters to desserts and preserves, are shared in this lovely self-published cookbook which is well worth our attention. Another author, I must mention who writes beautiful books, is Adelina Pulford who has a number of titles on Italian food and desserts. I am working on bringing a promotion to you on these books and I am especially taken with Adelina’s Kitchen Dromana: Dolci from my Italian Kitchen. Lee Clayton Roper has written two cookbooks that also would make delicious gifts A Well-Seasoned Kitchen (written with her mother) and Fresh Tastes both of which I covered previously (Fresh Tastes and A Well-Seasoned Kitchen). Lee shares two of her menu plans in the Menu Suggestions below. 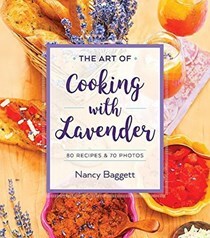 Updated 5/5 — I just received Nancy Baggett’s new book Cooking with Lavender and it is beautiful – what a great gift, with some culinary lavender and lavender sugar cookies from the book – it would make this mom happy. Make sure you check it out. 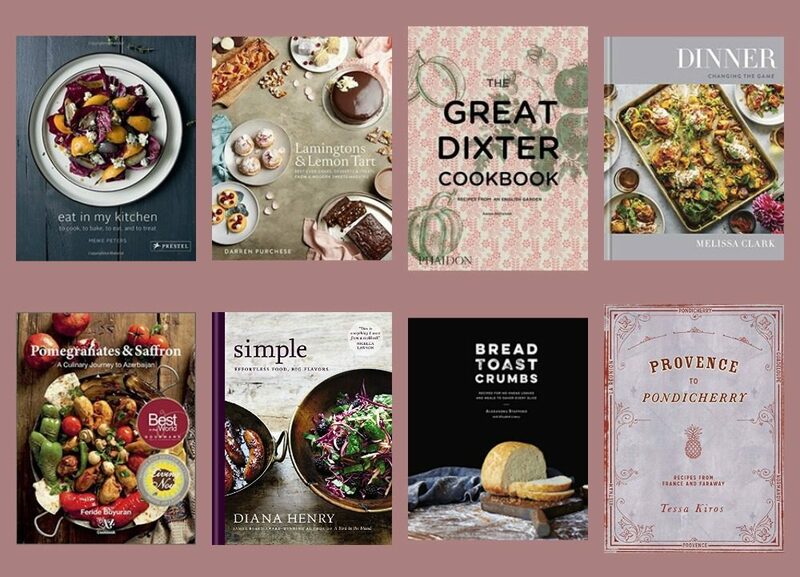 And the last gift suggestion, but certainly not the least, an Eat Your Books membership along with one of the cookbook titles above would be a wonderful gift for the cookbook lover in your life. Yes, I am the Cookbook Promotions Manager for Eat Your Books (“EYB”) – but I honestly love the site. 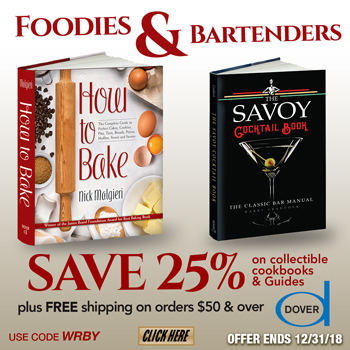 For those readers who are not familiar with EYB – it is a website for people who love cookbooks and want to make better use of the great recipes from those books. With EYB, a member can create their own personal Bookshelf and quickly find recipes from their cookbooks, food magazines, food blogs, personal recipe clippings, and favorite online recipes. 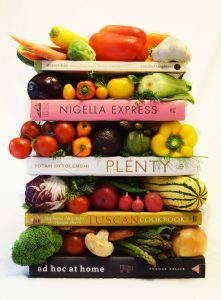 New cookbooks (as well as older titles) are indexed every week. More details can be found at EYB. We also offer dozens of giveaways every month on the newest titles. 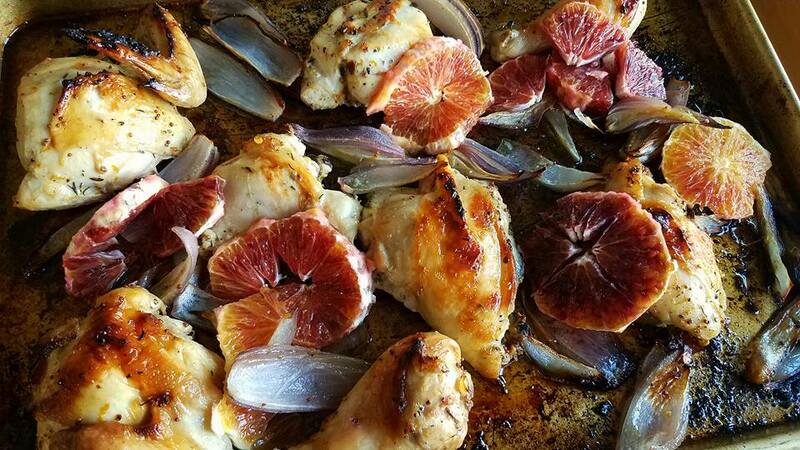 Pattie, has shared her post with great brunch ideas. Claudia has a scrumptious recipe for Triple Berry Cannoli Stuffed Italian Breakfast Toast. Lee has a make-ahead lunch plan and a make-ahead dinner menu. Marc has a Souffled Apple Pancakes with Cinnamon Maple Syrup. Beth has Challah Bread Pudding with Blueberries and Peaches. Signe shares her video for a Sweet Omelette. Janis shares Hattie’s Goat Cheese Torta with Pesto and Sun-dried Tomatoes. Renee at Kudos Kitchen has a wonderful selection of recipes for brunch. 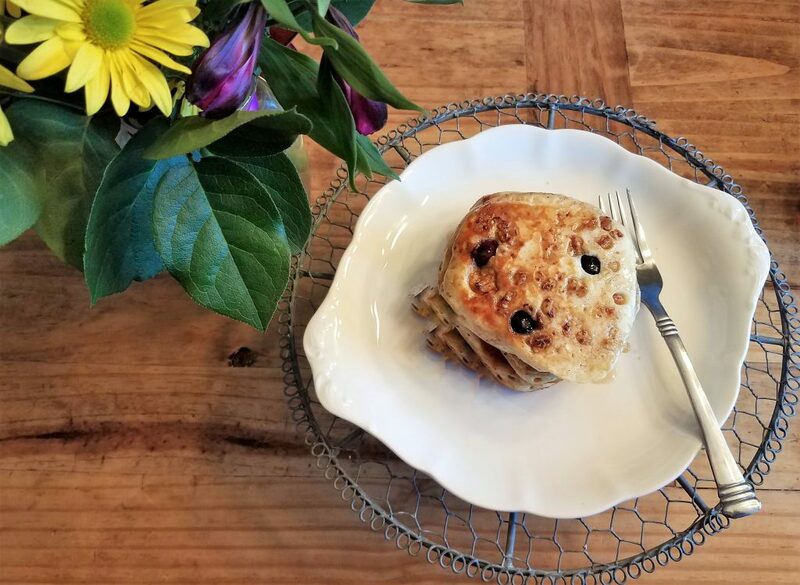 Lisa at The Cutting Edge of Ordinary always has delicious recipes perfect for any time but her Blueberry Cake would look beautiful on your Mothers’ Day table. Eat Your Books has two dozen recipes for Mothers’ Day in the online recipes search and remember you can search your cookbook collection by ingredients for specific recipes as well. Simple Essentials, America’s Test Kitchen DIY, Crescent City Cooking, The Foods of the Greek Islands, Heston’s Feasts, Pintxos, Sunday Suppers at Luques, Real Cajun, Asian Dumplings, Simple to Spectacular, Golden and Grandbaby Cakes. 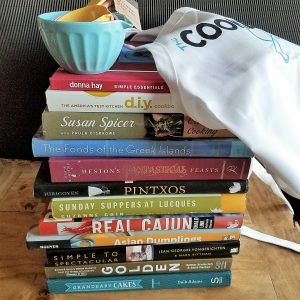 In my travels and work, I have come across a few duplicates of favorite books and I want to share them with you this Mother’s Day – a dozen cookbooks, a cute pastel set of measuring cups, a Cookbook Junkies apron made by the incredible Kudos Kitchen and a one year membership to Eat Your Books – so that you can enter all these wonderful books above. This giveaway is through Rafflecopter – with lots of options. You must be a member of Eat Your Books (a free membership is available) to enter. Open to US residents only. Good luck! Disclaimer: I hope this information is helpful to you. Links to Amazon are affiliate links and help to support this site. I received no compensation for sharing my opinions but did receive samples from Bonne Maman, Maille and La Tienda. Staub and LeCreuset do not know I’m alive and if they sent me something I would no longer be – as I would die from shock. Review copies of most books were kindly supplied by authors and publishers through my work for Eat Your Books. The items in the giveaway are supplied by myself and Eat Your Books is supplying the year membership. Hello, Cookbook Junkies! 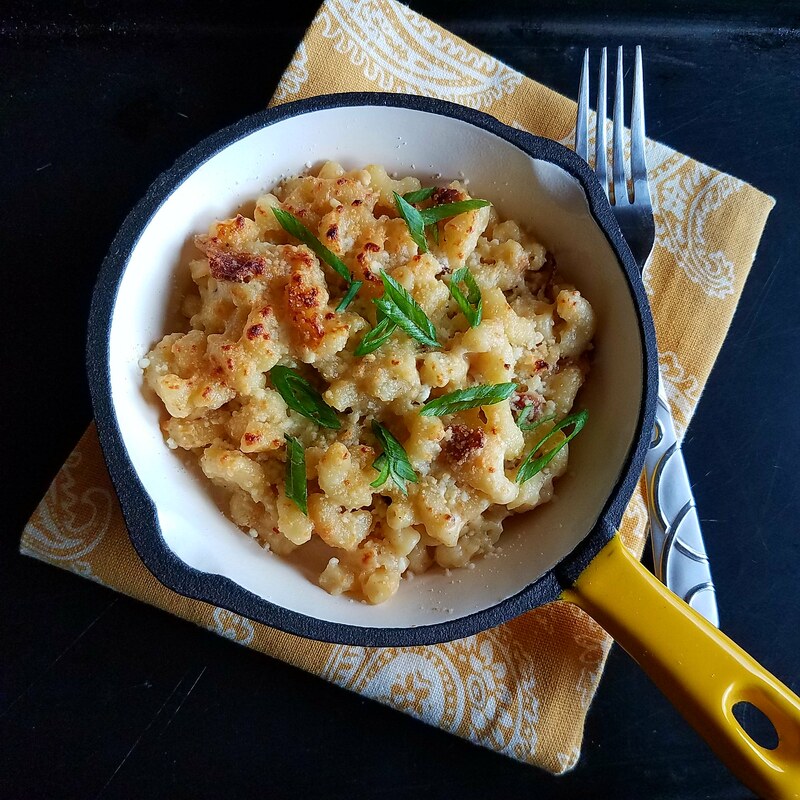 I am back with a recipe for Spicy Bacon Mac and Cheese which I made for Easter last week and a few friends asked for the recipe. 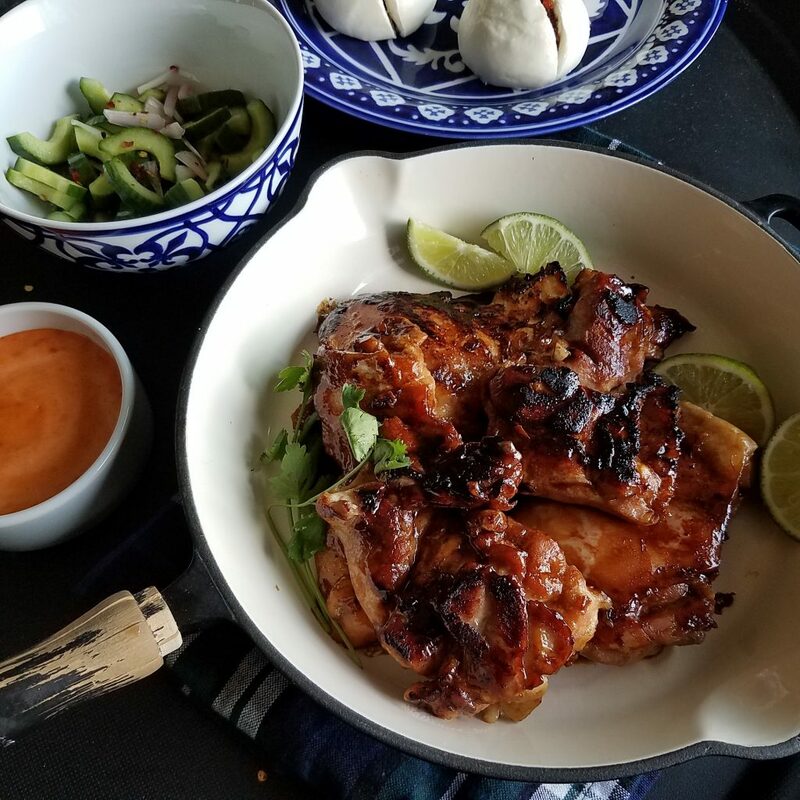 I was quite happy with everything about this dish – the flavor, texture and spice level – and then to gild the lily – we have bacon! Before I get to the recipe, I would like to share a bit about what I’ve been doing. Being the Cookbook Promotions Manager for Eat Your Books is taking the majority of my time and I am loving everything I am doing for Jane, Fiona and their team. I’m working at bringing new members to the site and sharing cookbook news and giveaways. Until the end of this year, using the code CBJ17, you can try Eat Your Books for three months and take advantage of all its services. Check it out. The last few weeks I have been on a try new recipes kick – more so than usual. Here are a few of the things I’ve been creating in my kitchen. 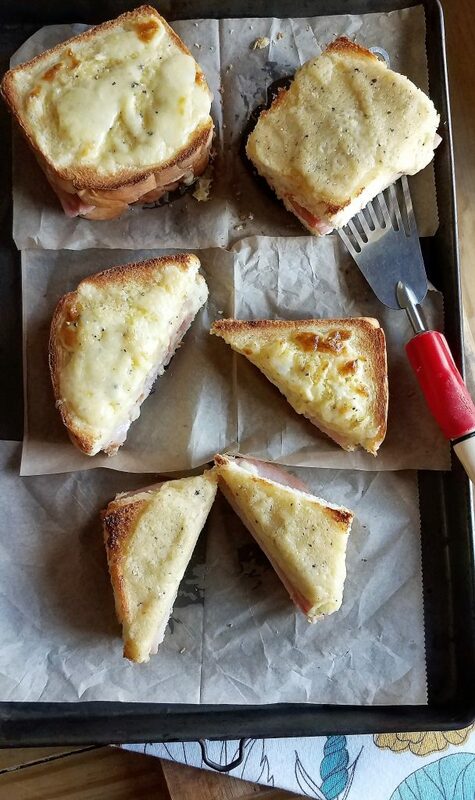 The Croque Monsieur battle Melts v. Milk. Made. – recipes, reviews and giveaway of both book and Cabot Cheese at Eat Your Books – both were incredible – but check out the post to see which sandwich was crowned the winner. We have been eating well in the Hartin home. 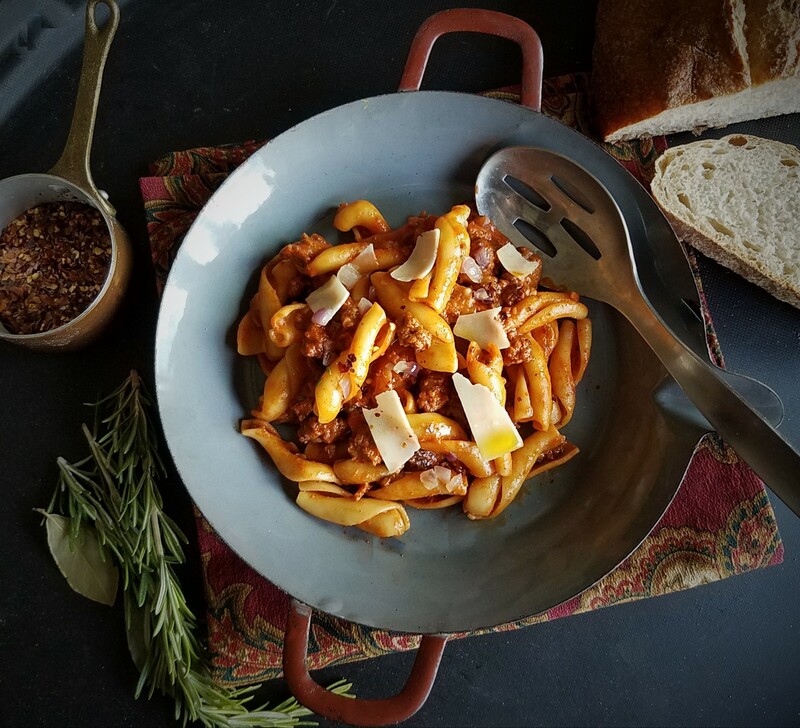 Now back to the Spicy Bacon Mac and Cheese – for this recipe I used one eight ounce package of Cabot’s Seriously Sharp Cheddar and about three ounces of Cabot’s Hot Habanero and it was crazy spicy for my husband. I cooled it down by adding a half cup of sour cream and a half cup of cream to the finished product to make it more tame. If you like spicy, forego this addition. Cook macaroni, three minutes less than package instructions. Drain and rinse. In a heavy bottomed pan, melt butter or bacon drippings over medium heat. Stir in enough flour to make a roux. Add warmed milk to roux slowly, stirring constantly. Stir in cheeses, spices, mustard and cook over low heat until cheese is melted and the sauce is thickened. Add bacon to the cheese mixture. Taste cheese sauce – if too spicy add sour cream, try again. If still too spicy, add cream. (I did add one tablespoon of honey to the sauce mixture (to tame the heat) as well but not necessary.) Place macaroni in large broiler safe dish, and pour sauce over macaroni. Stir well. Top with about a handful of shredded cheddar. Bake at 350 degrees F (175 degrees C) for 20 to 30 minutes. Last three or four minutes, I place under the broiler to brown it up. 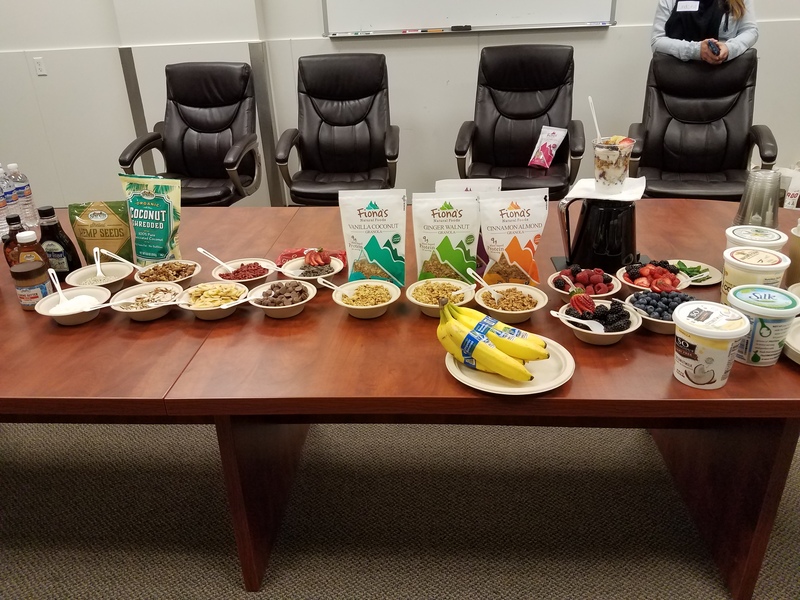 Recently, I had the pleasure of attending a Sprouts Farmers Market event at Fiona’s Natural Foods. 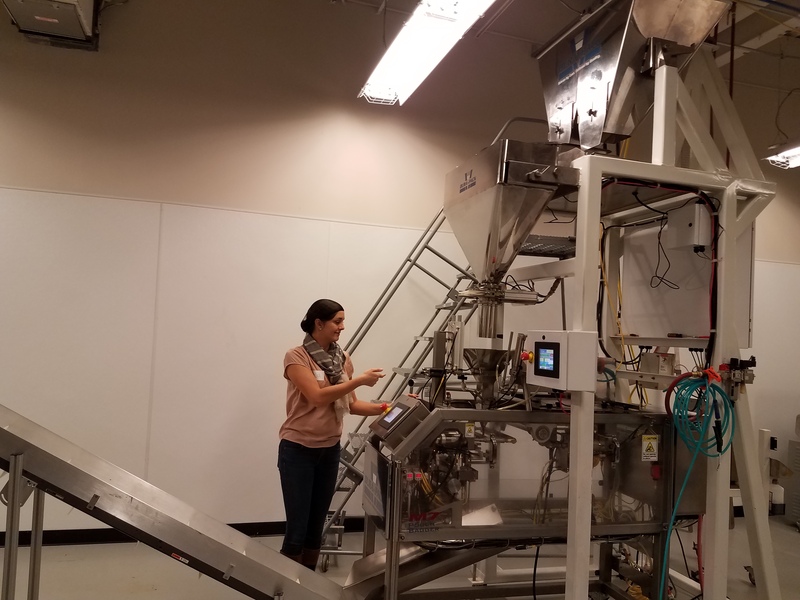 #brunchwithfionas Fiona’s is a natural food company in Longmont, Colorado. The name came from the original creator of the recipe – Fiona – a boulder mom who started making granola in her kitchen. I have a love/hate relationship with granola. I love the flavor and texture but it is hard on my stomach. 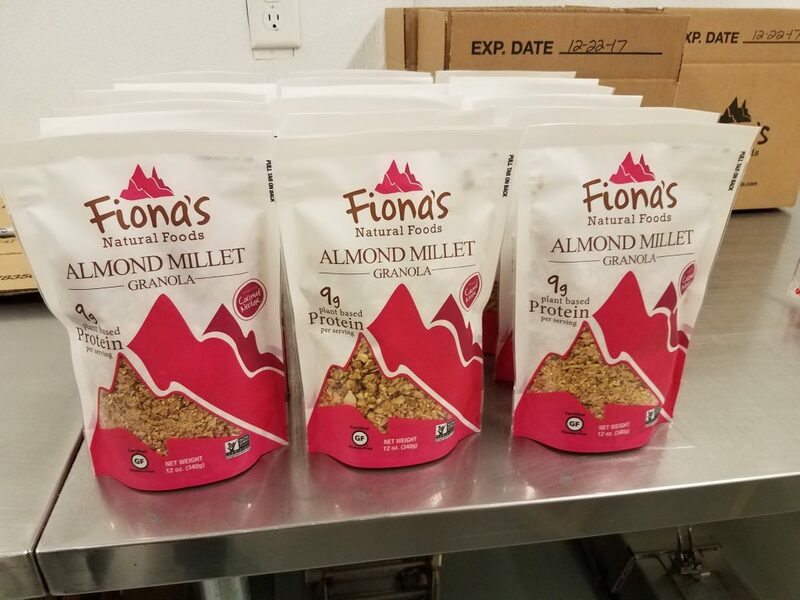 When one of the Fiona’s members, Natalia, mentioned that she had the same issue and now that their granola is made with pea and lentil flour – she doesn’t have a problem. I was hesitant but after three days of having a small bowl of granola – I’m safe and it is also the only granola on the market with 9 grams of protein per serving. We took a tour of the facility and was so impressed with their set up. This is Natalia at the bagging station where she packaged up Almond Millet Granola for us to take home. After the tour, we headed to brunch where we enjoyed samples of Fiona’s granola. There was also a display of all their flavors and when Jarrett Eggers, co-owner of Skyway Foods and General Manager of Fiona’s Natural Foods, told us to take more home – I didn’t hesitate. I took seven bags of granola, one bag of oatmeal and trail mix. I have eaten three small bowls of this granola and I have two half bags left of granola. The culprit on the disappearing granola is Andrew who has insisted on eating this granola almost every morning and lately for dinner. This granola is great and the ginger walnut is my favorite. The best thing about this company – every purchase goes toward a donation to feed hungry children – a company that gives back. You can find out more about Fiona’s granola and how to order at their website. I was able to swipe the granola away from Andrew long enough to make these blueberry pancakes with ginger walnut granola. They were simple and delicious. I used my go-to pancake recipe and sprinkled the top of the pancake with granola and blueberries. The granola maintained some crunch and gave the pancakes a wonderful textural element. Special thanks to Sprouts Farmers Market and Fiona’s Natural Foods for this wonderful experience.